Samson takes the worry out of wireless with the frequency-agile Concert 99 Handheld UHF Wireless System. 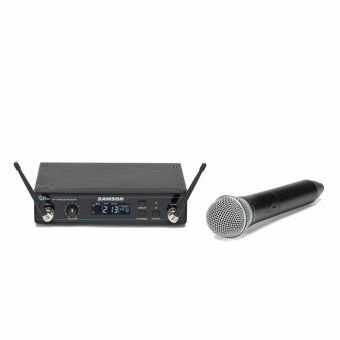 The Concert 99 Handheld offers easy setup with a dynamic user interface, exceptional durability and premium sound quality. The result is unprecedented value for singers, business professionals, educators and others in search of reliable wireless freedom. 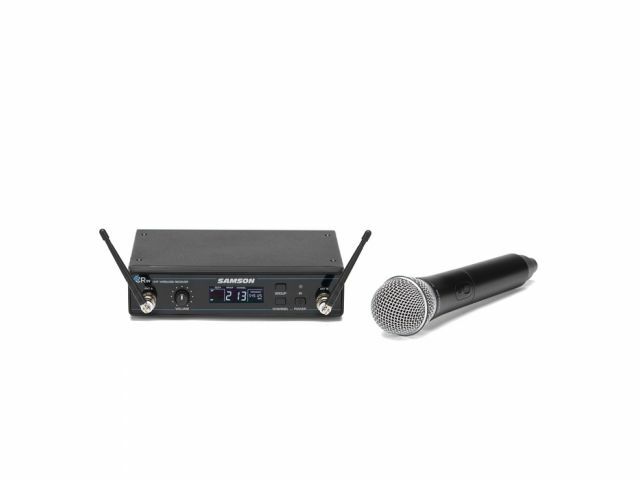 Enabling a best-in-class 300' wireless range, the Concert 99 Handheld system features the all-metal, rack-mountable CR99 Wireless Receiver. the CR99 also features IR set technology to wirelessly match the operating channel of the transmitter to the receiver. The CH99 Handheld Transmitter features a Samson Q7 Professional Dynamic Microphone capsule for natural vocals and superior feedback rejection. The transmitter, which can operate for up to eight hours on two AA batteries, was meticulously crafted to meet the demands of serious performers.